New Kids on the Block is churning out hit after hit, Home Alone is the number one movie in America, and the internet still exists as a hard-to-explain phenomenon (yes, a strange year indeed). And yet, beyond the pop culture references and fun facts, 1990 also marks a watershed moment for the modern civil rights movement. It is the year that President George H. W. Bush signed into law the Americans with Disabilities Act, or “ADA.” The ADA, in its current form, exists to prevent discrimination based on disability within both the public and private sectors. These sectors include (among other areas) transportation, employment, and – most importantly – education. Reflecting the necessity of providing a “full and equal” education to persons with disabilities, enforcement of the 1990 Act has traditionally focused on physical, on-campus spaces – i.e., access ramps, lavatory facilities, classroom accommodations, etc. 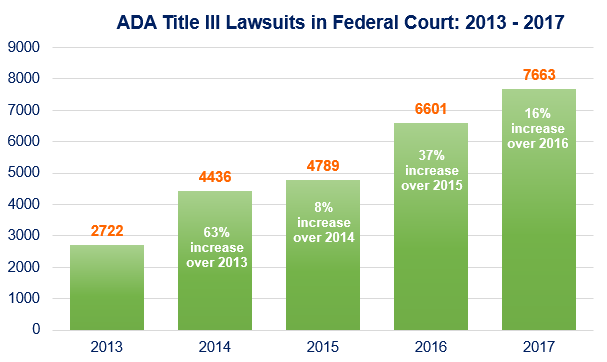 However, with the rise of the internet and the rapid evolution of modern technology, America’s institutions of higher education now face a new and formidable ADA compliance challenge – the university website. Transcription is a hot topic, but not a new one; we discuss this more in our previous blog post. As we will soon see below, the consequences for failing to comply with the ADA can be both severe and long-lasting. It’s easy to assume that an open, accessible, and adequately captioned university website is a foregone conclusion in 2018. And yet, proper website captioning (or a lack thereof) is quickly building steam as one of the most critical ADA compliance issues of the digital age. Well, according to a list compiled by the University of Minnesota, more than 30 colleges and universities have been sued or have had complaints lodged against them for failing to provide disabled students with sufficient access to information. Harvard, MIT, and UC Berkeley, prestigious and internationally acclaimed universities, have all found themselves out of compliance with closed captioning requirements, and in turn, as parties to federal complaints and costly lawsuits. The Harvard and MIT lawsuits, filed in 2015 by the National Association of the Deaf, are seeking a permanent injunction requiring the universities to provide closed captioning and text versions of all online materials. The lawsuits address the plethora of “inaccurately or unintelligibly captioned” online content, “making it inaccessible for individuals who are deaf or hard of hearing.” In 2016, the District Court of Massachusetts denied each university’s motion to dismiss and ruled that the case should move forward. As of writing, this costly case is still pending with no end in sight. While the Harvard and MIT cases provide us with illuminating examples of the potential legal consequences for failing to provide online closed captioning to students, the case involving UC Berkeley highlights another potential accessibility pitfall altogether: non-student access to publicly available material. UC Berkeley, rather than attempt to comply with the costly recommendations of the DOJ, made the remarkable decision to remove public access to thousands of videos and assorted materials. As reported by Inside Higher Ed, UC Berkeley choose to remove more than 20,000 audio and video files from its publicly accessible platforms rather than pay the costs of compliance. Both UC Berkeley faculty members and other experts/scholars have expressed concern regarding the administration’s justification for its decision, as well as what appears to be an apportionment of blame towards disabled persons. While the DOJ did not make findings regarding UC Berkeley’s treatment of its student body, the moral of the story is this: even when avoiding the legal consequences and financial costs of web accessibility compliance, universities can still potentially damage their carefully cultivated reputations by not complying. When in doubt – comply, comply, comply. How Should Universities Approach Compliance? While all of these recommendations go a long way in ensuring ADA compliance, perhaps the most significant issue universities face when it comes to web accessibility (as illustrated in the cases above) is the matter of closed captioning. As education continues to evolve in the digital age, most colleges and universities will soon have thousands upon thousands of podcasts, videos, and other similar types of media content – all requiring proper closed captioning and transcriptions. And although the sheer volume might appear overwhelming, it is important to remember that proper captioning is an incremental process. It will not happen overnight. A revealing survey from Oregon State University recently highlighted both the anxieties and narrow motivations of higher education when addressing closed captioning. The study indicated that most institutions implement closed captioning for the sole purpose of complying with the law. And yet, it should be recognized that there are many additional compliance benefits to consider. Not only are visitors more likely to return to a website that has closed captioning, but it is no coincidence that accessible websites also happen to be the most useful websites. ADA compliance, although it applies specifically to persons with disabilities, will likely result in a website that is clearer and easier to navigate for everyone. Website traffic also stands to increase, as an easily accessible website should be easier to find in search results. It is critical to remember that proper closed captioning begins with a shift in institutional mindset. It continues with intense preparation and planning, and it finishes with the right application of AI technology and human knowledge. It is a process to help you better serve your community, and it is one in which we at Verbit can help. April 2018 – Verbit secures a $11million seed funding, led by HV Holtzbrinck Ventures, Vertex Ventures and Oryzn Capital. Verbit was founded only a year ago by entrepreneurs Tom Livne (CEO), Eric Shellef (CTO) and Kobi Ben-Tzvi (VP of Engineering). The startups operates in the professional transcription market, which is a multi billion dollar market for its various connections to clients at different verticals such as: Legal, education, media resources, medical and more. “We already generated millions of dollars in revenue, but we’ve only just begun. With this funding the company set aggressive growth targets and significantly expanded product capabilities”, Livne says. As such, Verbit plans to double the number of employees in the coming year. As Livne explains, these steps must be taken in order to realize the company’s vision: “To make the world’s verbal content accessible and searchable”. Every day billions of new video and audio minutes are created. Traditional transcription companies rely on manual work, resulting in expensive service costs and long turnaround times. At the same time fully automatic transcription only reaches an average accuracy rate of 70%, missing customer demands for professional, quality and a 99.9% accurate transcription. Verbit has developed a unique transcription solution which uses a combination of AI technologies to achieve accuracy and speed, at a scale large enough to make the world’s audio and video content accessible. It integrates automatic speech recognition algorithms with human augmented refinement. Any correction made by human transcribers contributes to and improves the Verbit algorithm through machine learning technologies. “Many tech giants strive to master speech recognition and transcription and we are very happy and proud to offer the results of a head-to-head demonstration. This comparison can be located here and this is how we successfully differentiated ourselves from our competitors”, says Livne. Because most of the transcription process takes place automatically, Verbit has a major competitive cost structure. As a direct result, the final price per customer is significantly lower than competitors, while ensuring the quality and delivery of the service at an exceptional speed. The company charges its customers according to the audio/video minutes it transcribes. Verbit has already connected with many customers including Ivy league universities and leading E-learning platforms such as Coursera, Udacity, and London Business School. “The level of accuracy and automation Verbit has reached is way beyond anything I saw in the industry. Those capabilities will allow Verbit to build a category leading company in the fragmented transcription market,” say Jasper Masemann, from HV Holtzbrinck Ventures.